The Most Amazing Chicken Recipes have so much flavor, are easy to make, and your friends and family will ask you to make them again and again! 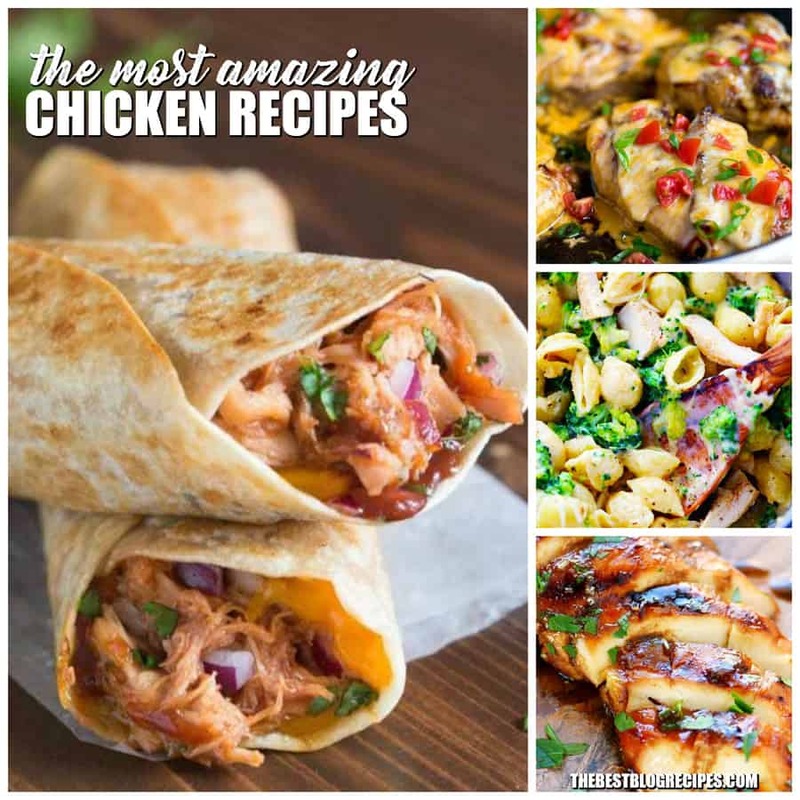 From cheesy skillet chicken, to barbecue chicken wraps — there is something for everyone on this list! If you love chicken as much as we do here on The Best Blog Recipes then you’re really going to love what we’ve gathered together for you today! These recipes are some of the most delicious, most pinned recipes on Pinterest! It’s easy to see why they are so popular. They look amazing! From The Best Grilled Chicken Marinade, to easy wraps and skillet dinners — there is something on this list for everyone in your family. Pair any one of these dinner recipes with The Best Orzo Pasta Recipes and you’ll have a complete meal ready in no time! What are you waiting for? Start scrolling down our list of The Most Amazing Chicken Recipe to see which one you are going to try first! From The Best Blog Recipes :: Click HERE for the FULL Recipe You will find a layered and baked casserole is one of the simplest ways to get a good dinner on the table, pronto. 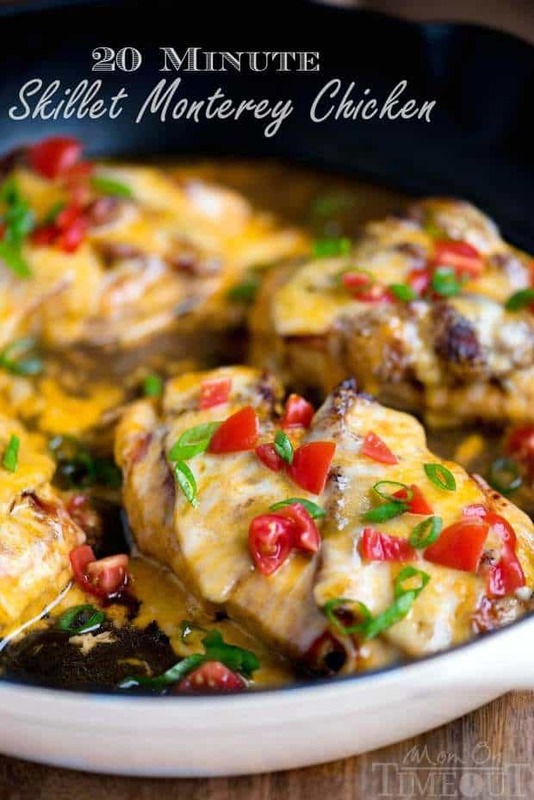 Make it with Rotel so you can dial the spicy heat up or down and I predict this Mexican Chicken Casserole recipe will become a family favorite for all ages. 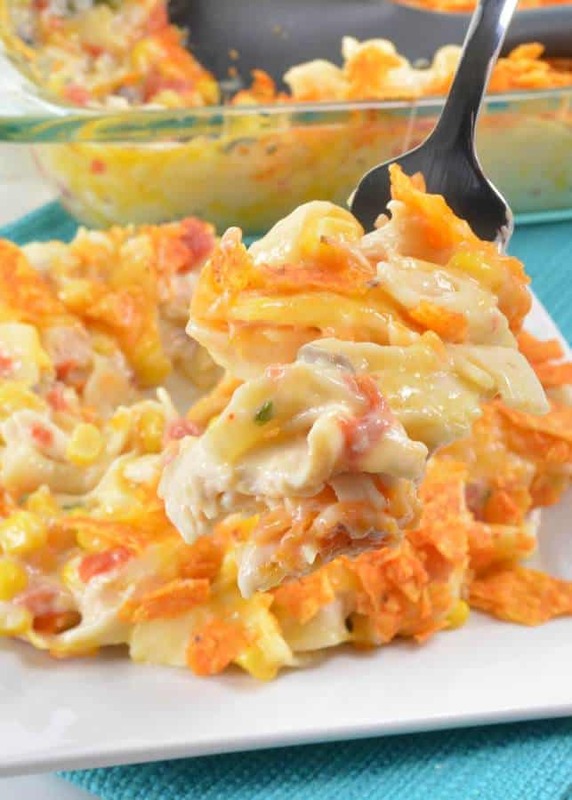 From The Best Blog Recipes:: Click HERE for the RECIPE I’m not sure if this recipe should be called Dorito Casserole, Taco Casserole, or Mexican Chicken Casserole with Doritos. But I know whatever it’s named, your family—and friends—will say it is DELICIOUS! From The Best Blog Recipes :: Click HERE for the RECIPE With the combination of parmesan cheese, milk, cream, herbs, spices & onions this pizza was to die for! 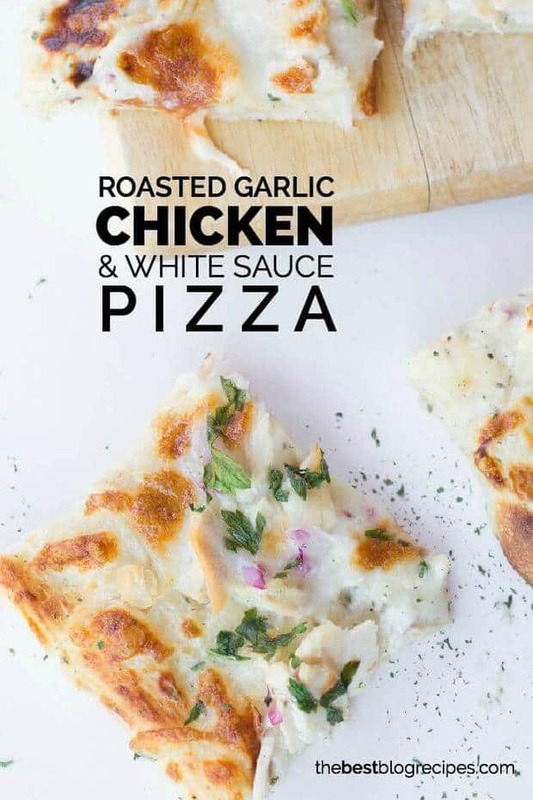 But, I am pregnant and craving pizza (and I think Joe is having sympathy cravings too) so you’ll just have to try this Roasted Garlic Chicken White Sauce Pizza for yourself and let me know what you think. 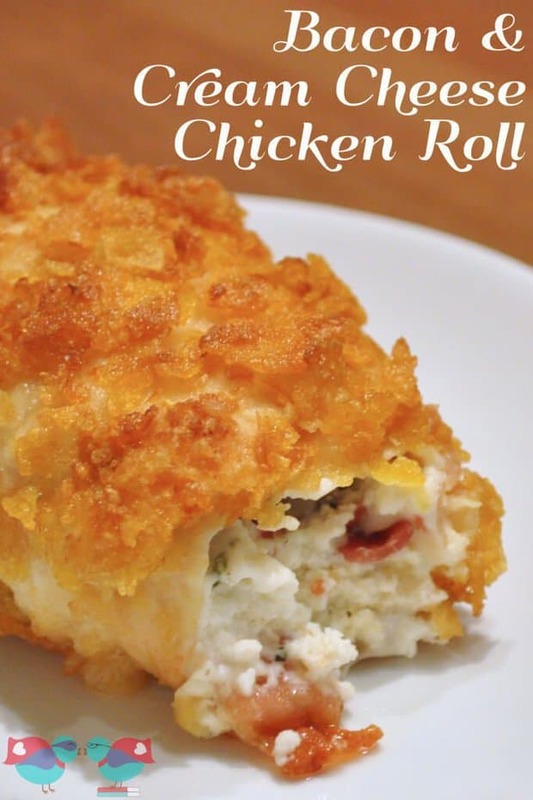 From The Love Nerds:: Click HERE for the RECIPE Cream Cheese and Bacon Chicken Rolls is an easy stuffed chicken recipe filled with two of my very favorite things! 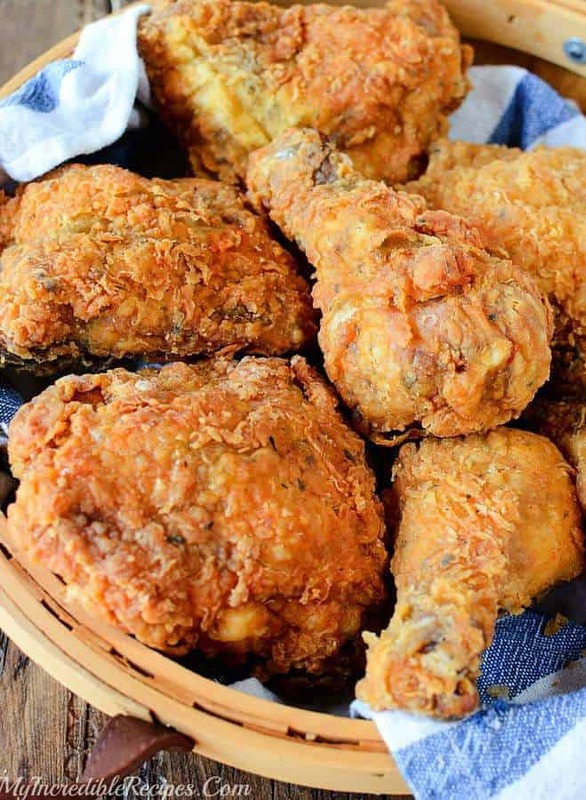 From My Incredible Recipes:: Click HERE for the RECIPE This Southern KFC Fried Chicken Copycat Recipe from My Incredible Recipes is going to knock your socks off! The chicken has a delicious buttermilk crunchy batter coating that will literally melt in your mouth and take you back to your childhood when mom would bring home the big red and white bucket full of chicken for dinner. YUM! From Tastes Better from Scratch:: Click HERE for the RECIPE My family loves these Crispy BBQ Chicken Wraps, and I love that they’re such an easy dinner to make! 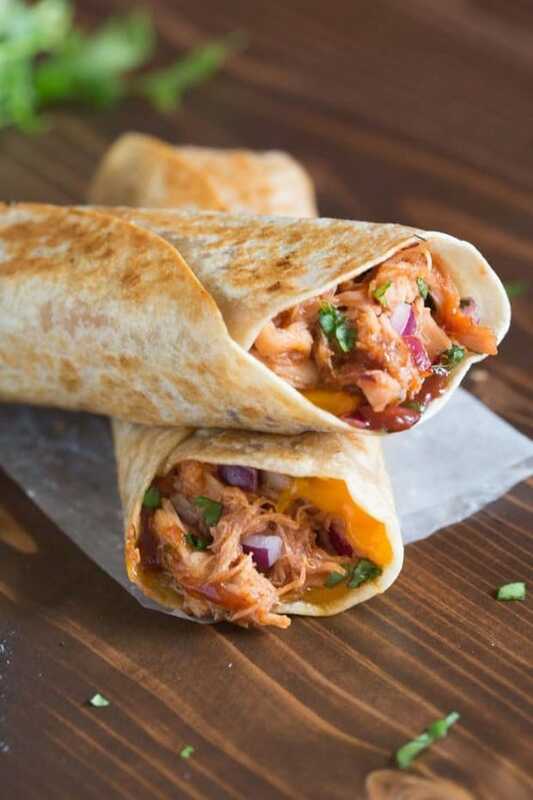 Think all of the yummy, cheesy goodness of a BBQ chicken pizza, toasted in a crispy wrap. From Mom on Timeout:: Click HERE for the RECIPE Look no further for the Best Chicken Marinade recipe ever! 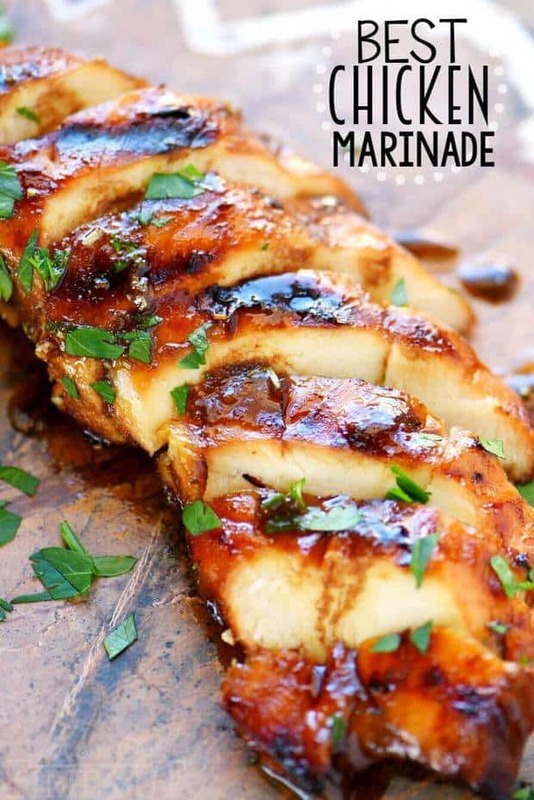 This easy chicken marinade recipe is going to quickly become your favorite go-to marinade! This marinade produces so much flavor and keeps the chicken incredibly moist and outrageously delicious – try it today! 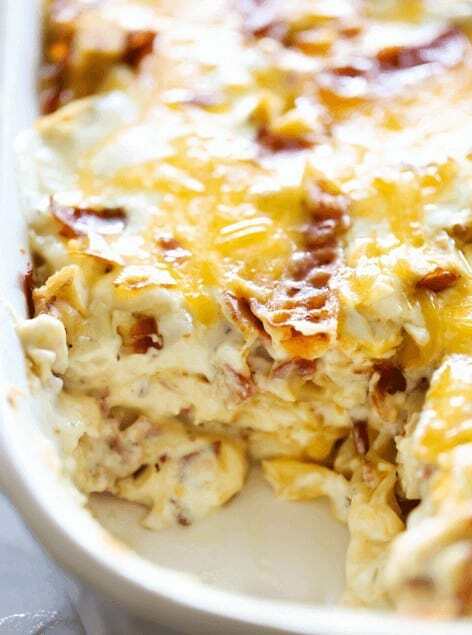 From My Incredible Recipes :: Click HERE for the RECIPE This Chicken Bacon Ranch Casserole recipe from My Incredible Recipes is so delicious and easy to make too! It makes the perfect make ahead casserole that you can assemble and put in the fridge until you are ready to pop it in the oven for dinner! 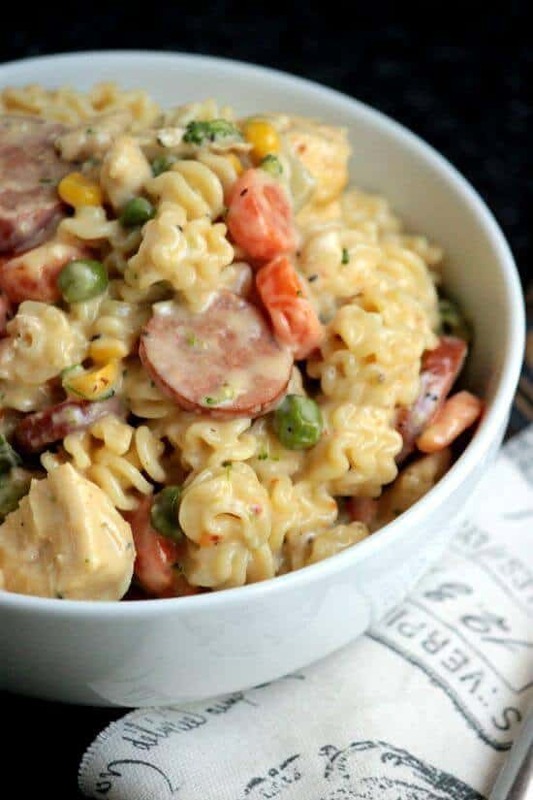 From Big Bears Wife :: Click HERE for the RECIPE This Cheesy Chicken and Sausage Pasta from Big Bears Wife is filled with pasta, chicken, sausage, and a few of your favorite vegetables. It’s a kid friendly recipe that your whole family will enjoy for dinner. From Chef in Training:: Click HERE for the RECIPE This Chicken Cordon Bleu Lasagna is a creamy and delicious dinner that will become an instant family favorite! 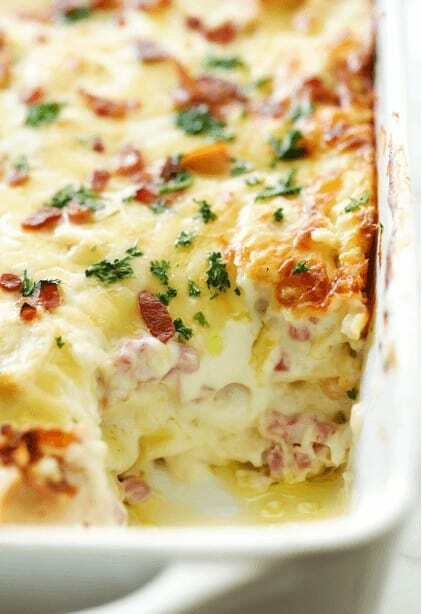 It is loaded with chicken, ham, bacon and a tasty cream cheese sauce that will blow your mind! 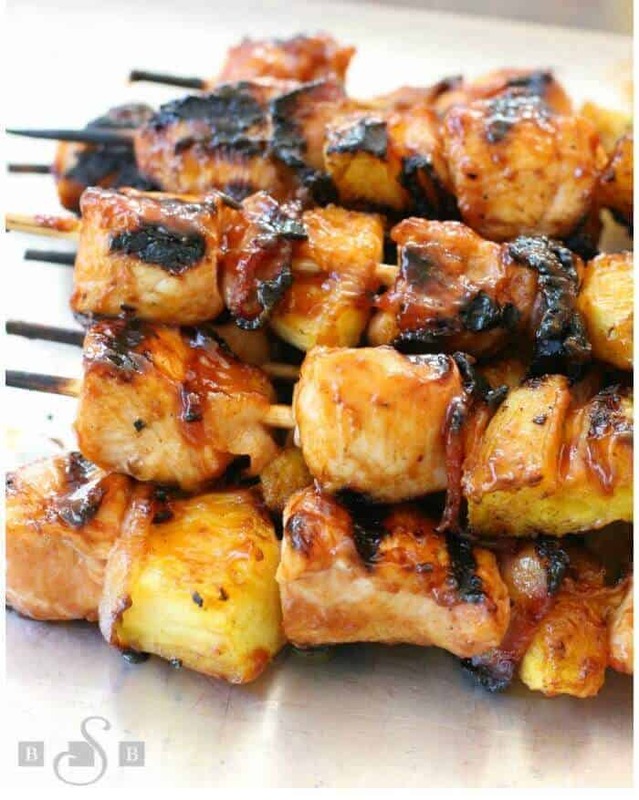 From Butter with a Side of Bread:: Click HERE for the RECIPE These BBQ Chicken Bacon Pineapple Kabobs from Butter with a Side of Bread have tender chicken paired with tangy pineapple and smoky bacon! Slathered with your favorite BBQ sauce, this recipe is sure to become one of your favorite BBQ chicken meals this summer! 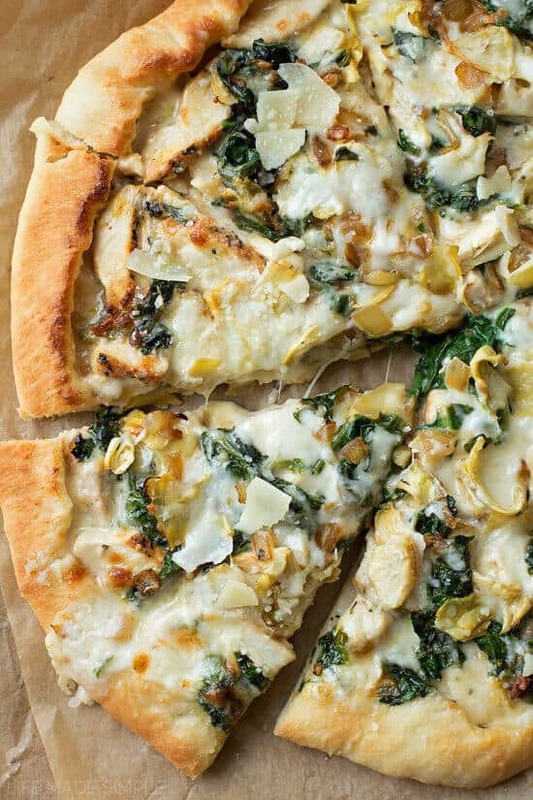 From Life Made Simple:: Click HERE for the RECIPE My favorite homemade pizza crust topped with a creamy garlic white sauce, mozzarella, chicken, spinach, and artichokes. This spinach artichoke pizza tastes just like the dip, only better! 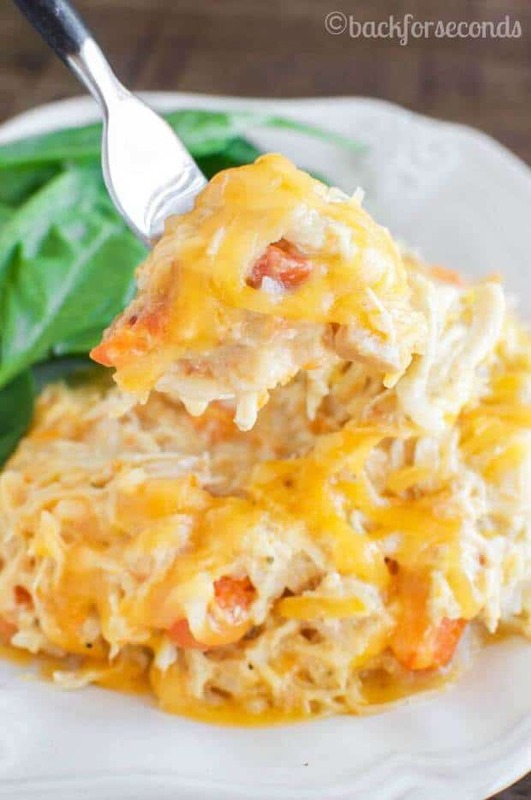 From Back for Seconds:: Click HERE for the RECIPE This Easy Cheesy Crock Pot Chicken recipe from Back for Seconds is a no fuss dinner that your family will really love! 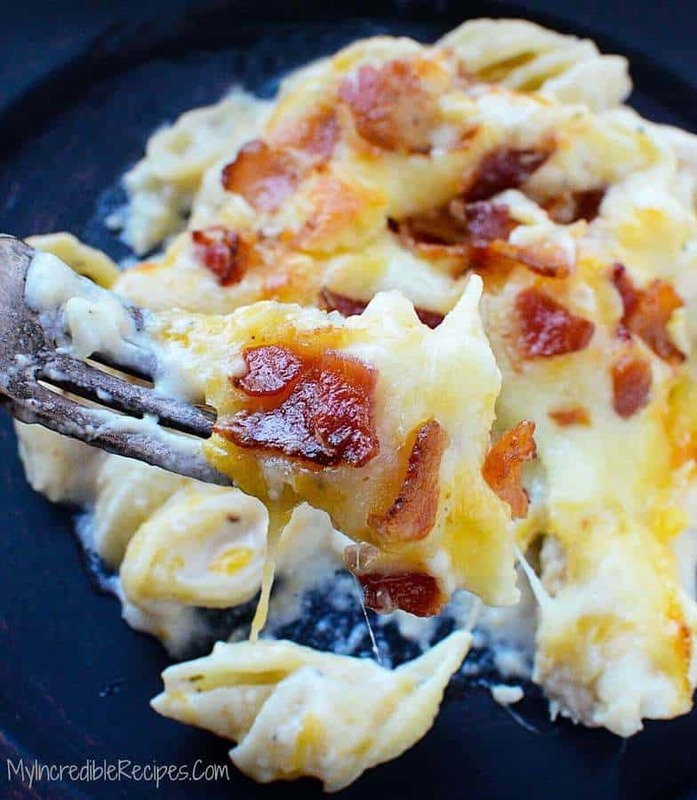 It’s filled with hearty, creamy, cheesy ingredients that even the most picky of eaters will eat right up — and best of all, it makes the perfect go-to meal for busy weeknights! 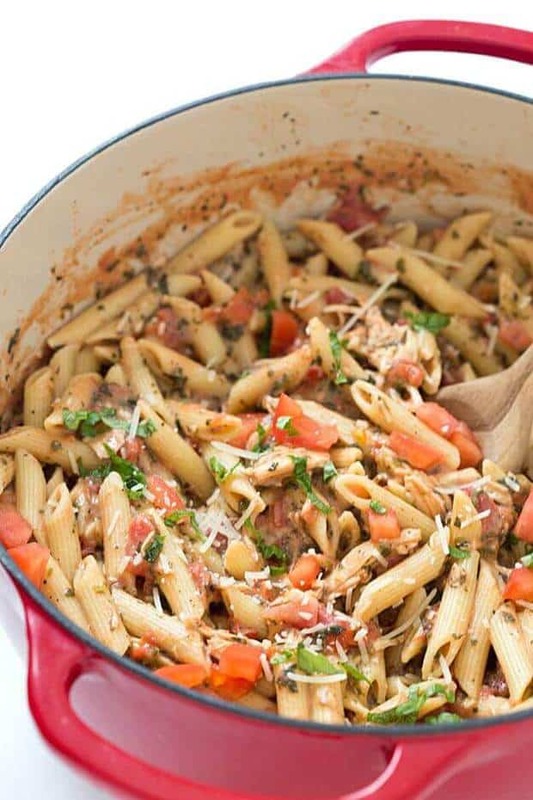 From Gal on a Mission 20-Minute Tuscan Chicken with Penne Pasta – The easiest and most flavorful weeknight meal! Comforting, warming, and delicious. Did I mention how quickly ever gobbles it up? Oh yeah. 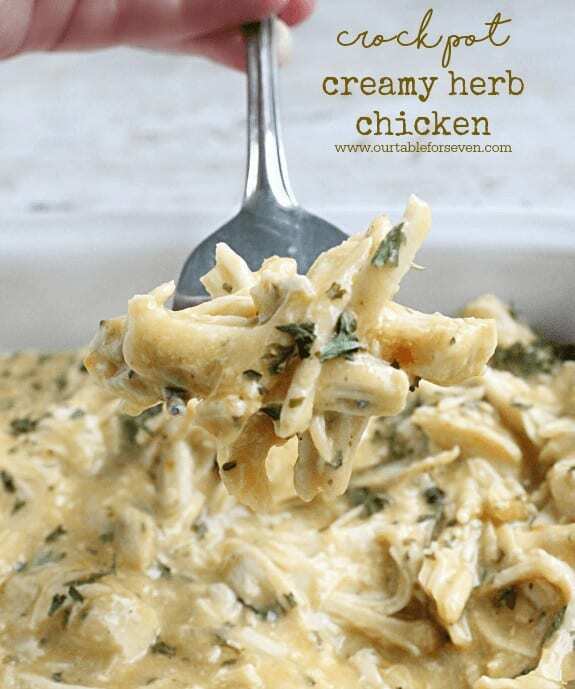 From Table for Seven This Crock Pot Creamy Herb Chicken recipe from Table for Seven is easy to make comfort food that makes the perfect dinner any night of the week! It is simple, delicious and comes out of the crock pot hot and ready to be served up to your hungry family. From Chef in Training:: Click HERE for the RECIPE This Chicken Bacon Ranch Lasagna is such a unique and DELICIOUS spin on a classic. It is packed with flavor and yummy ingredients. This will become an instant family favorite and one you want to make over and over again! From Mom on Timeout:: Click HERE for the RECIPE Got 20 minutes? This 20 Minute Skillet Monterey Chicken is just what you want to make for dinner tonight…trust me! Chicken, barbecue sauce, bacon, and glorious cheese come together in this delightful yet simple dish. Sure to become a regular request at your home! 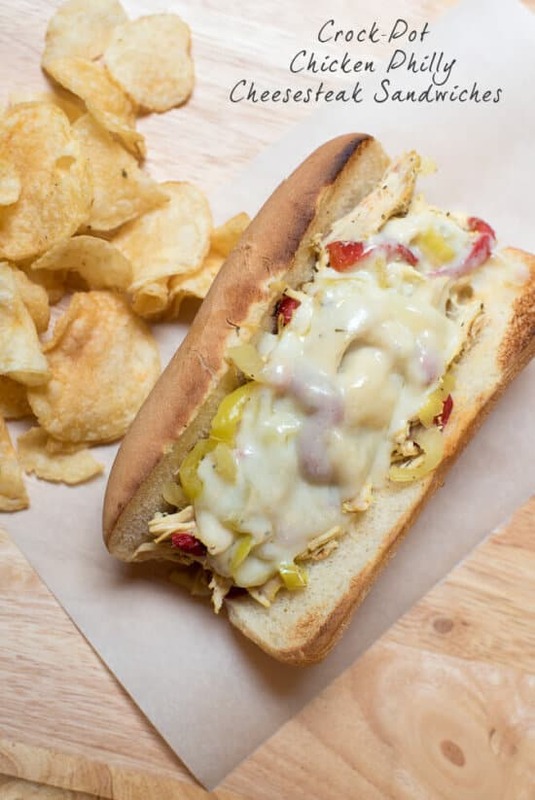 From Valerie’s Kitchen:: Click HERE for the RECIPE Tender shredded chicken, peppers, and onions piled on hoagie rolls with melted cheese. Let your slow cooker do the work and come home to an easy, delicious meal. 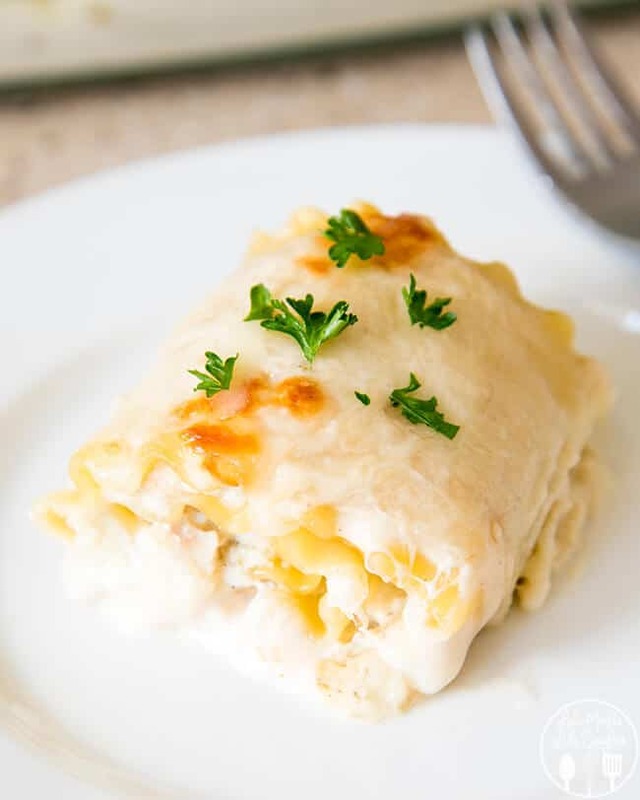 From Like Mother Like Daughter:: Click HERE for the RECIPE These chicken alfredo lasagna roll ups are perfect for a delicious dinner that is ready in less than 30 minutes! With a creamy ricotta and chicken filling, and topped with alfredo sauce and cheese! These roll ups are a dish everyone loves! 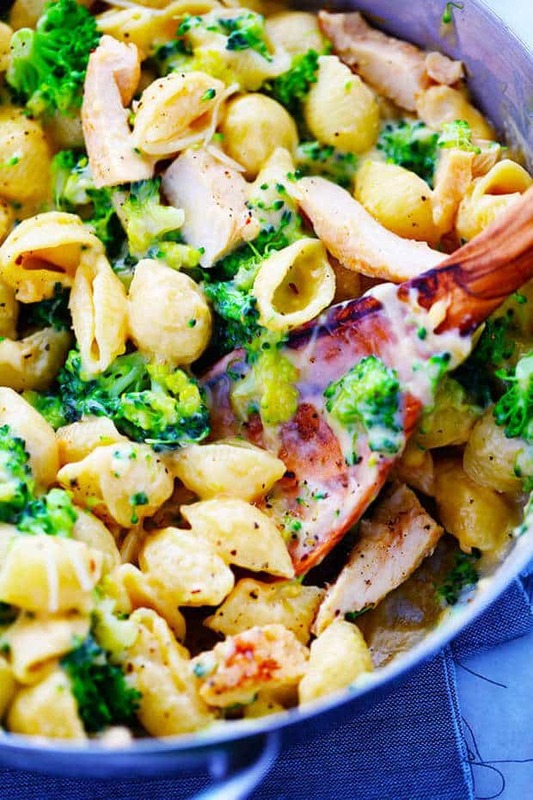 From 5 Boys Baker:: Click HERE for the RECIPE This Chicken and Broccoli Pasta Skillet from 5 Boys Baker is a creamy and cheesy comfort food meal perfect for any weeknight dinner. 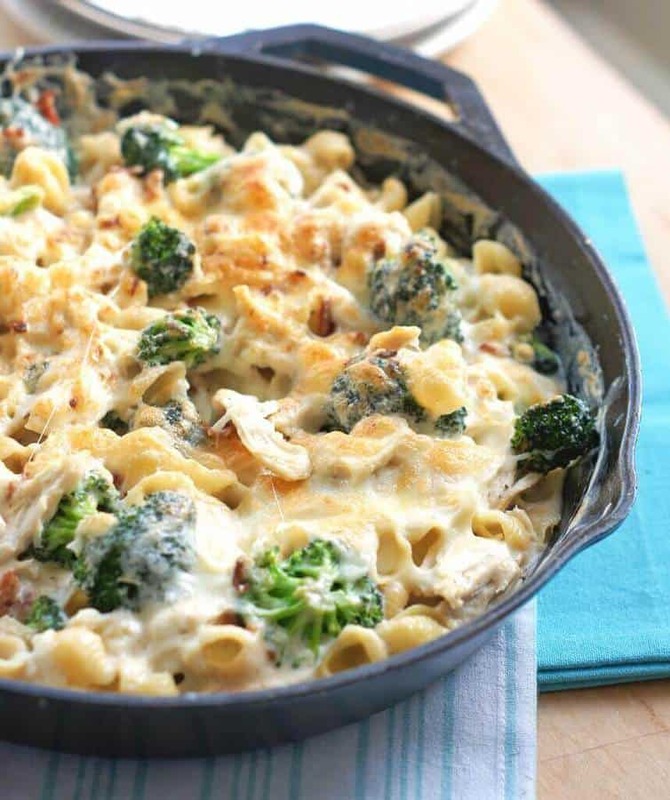 The bacon, broccoli, chicken, and cheese come together perfectly to make a delicious dinner even the pickiest of eaters will love! 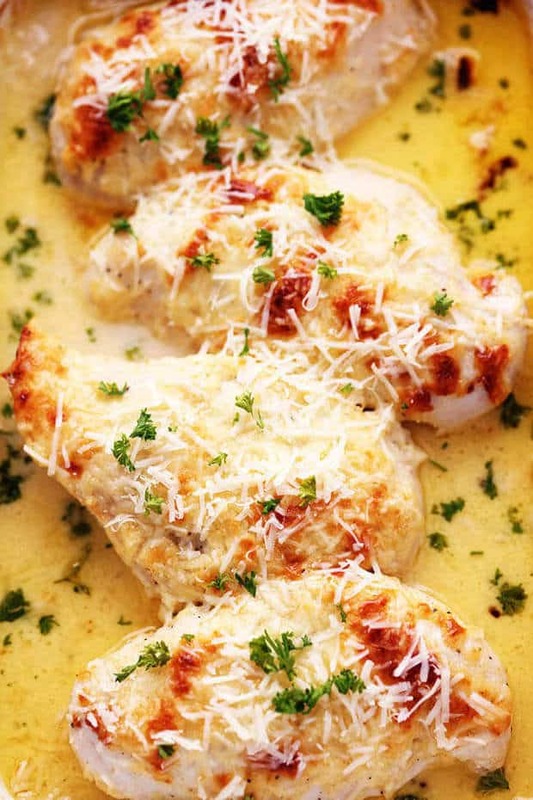 From The Recipe Critic :: Click HERE for the RECIPE An amazingly creamy baked chicken with asiago cheese inside. It comes together quickly and will be loved by the entire family! 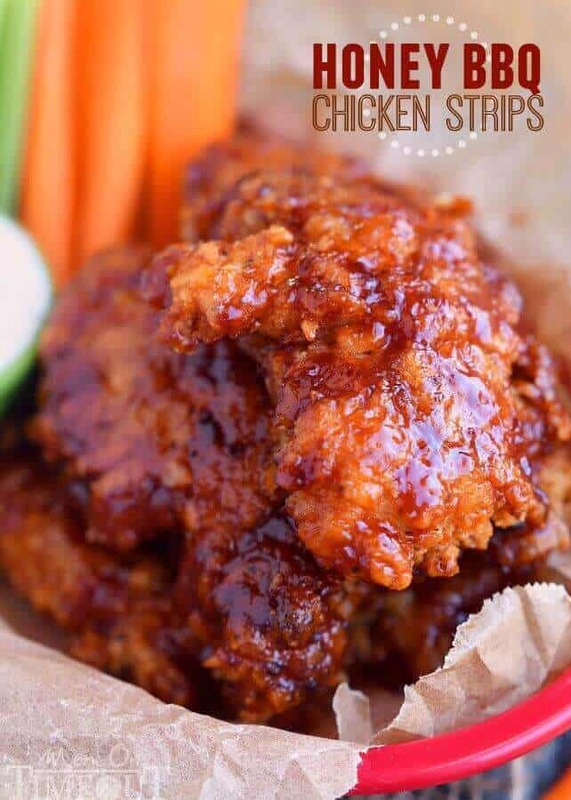 From Mom on Timeout:: Click HERE for the RECIPE Sticky, sweet Honey BBQ Chicken Strips are perfect for dinner or game day! Marinated in buttermilk and perfectly seasoned, these strips are hard to resist! From Big Bears Wife:: Click HERE for the RECIPE A side dish with a bacon ranch kick! 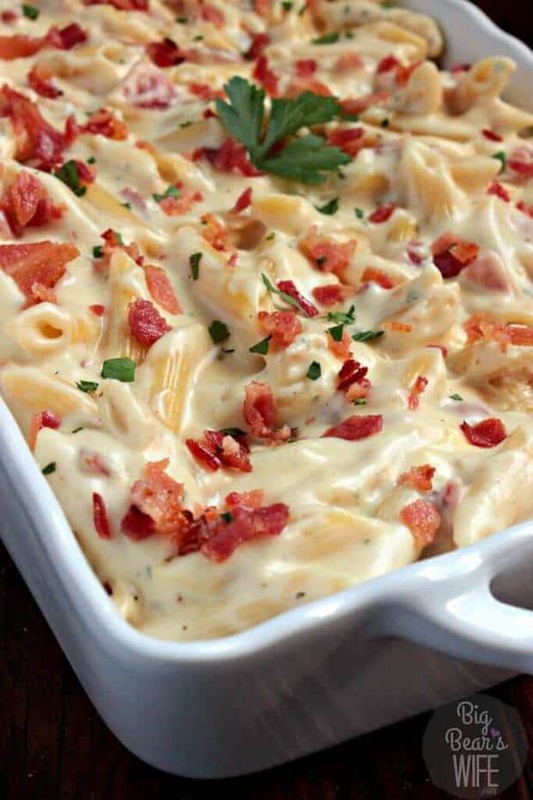 Make this Bacon Ranch Macaroni and Cheese tonight with dinner or add in some rotisserie chicken to make it a full meal! 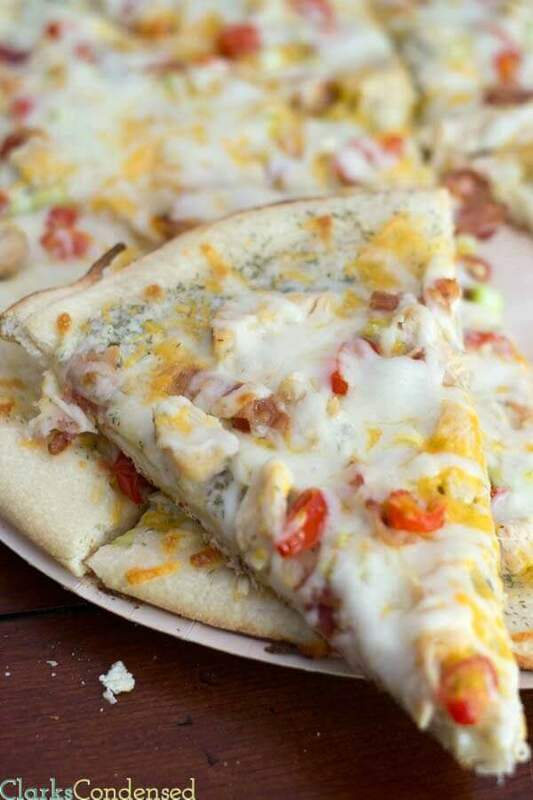 From Clarks Condensed:: Click HERE for the RECIPE A delicious copycat version of Papa Murphy’s Garlic chicken pizza, as well as a lactose-intolerance friendly ranch dressing recipe. 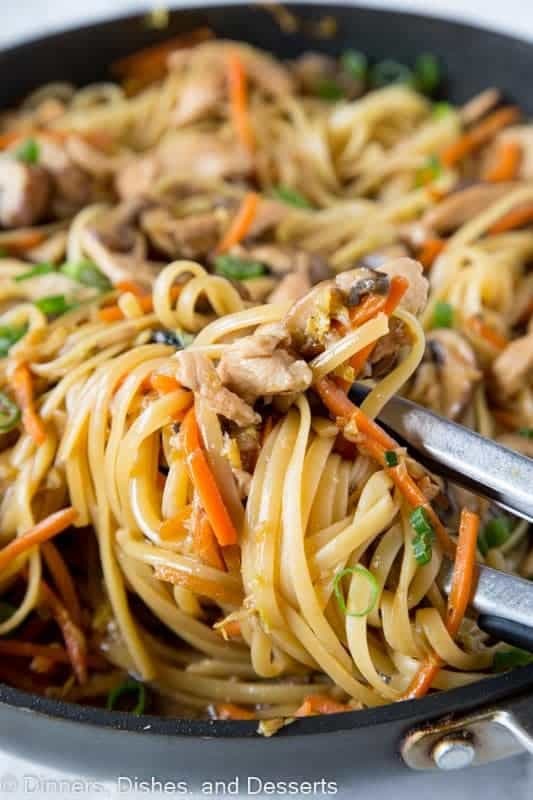 From Dinners, Dishes, and Desserts:: Click HERE for the RECIPE Chicken Lo Mein – make your own take out at home with this super easy Chinese chicken lo mein recipe. Full of lots of veggies, 20 minutes, and dinner is done! 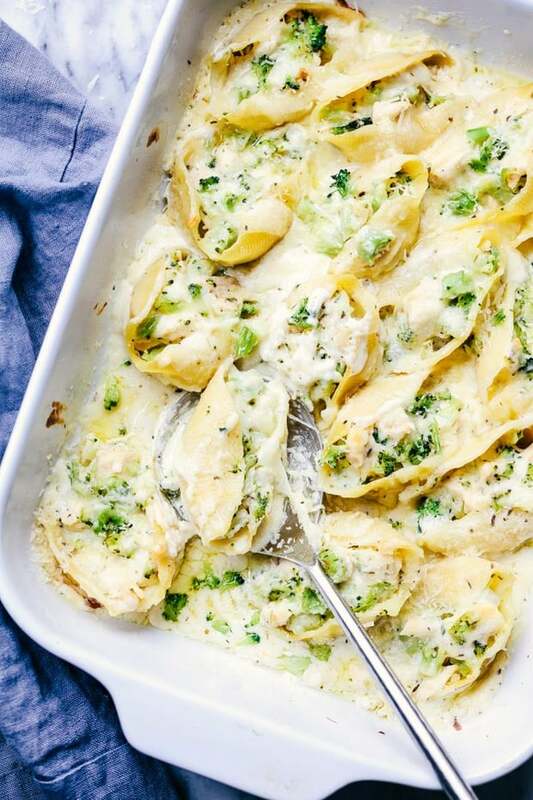 From The Recipe Critic:: Click HERE for the RECIPE Ditch the boxed mac and cheese and make these amazingly creamy and cheesy chicken broccoli shells. This meal is sure to be a huge hit with the family! 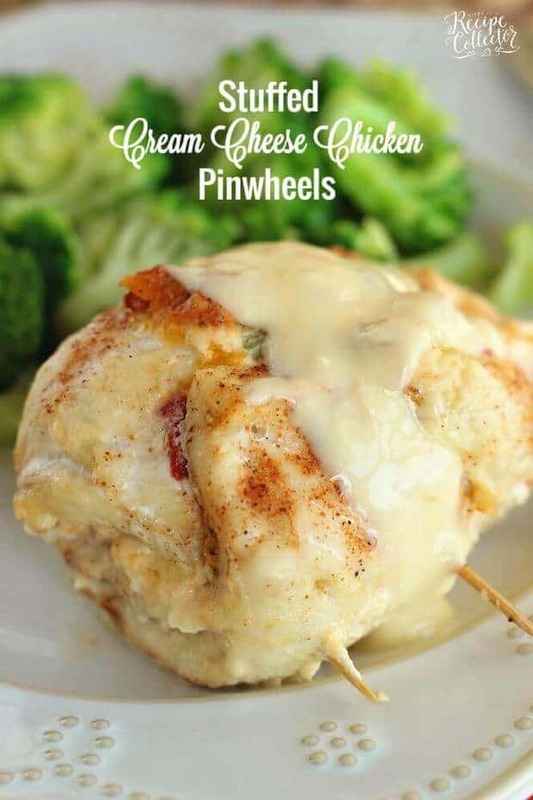 From Diary of a Recipe Collector:: Click HERE for the RECIPE Stuffed Cream Cheese Chicken – Chicken breasts filled and rolled up with a delicious cream cheese spread and baked in the oven. They are such a nice change from the usual chicken dinner! 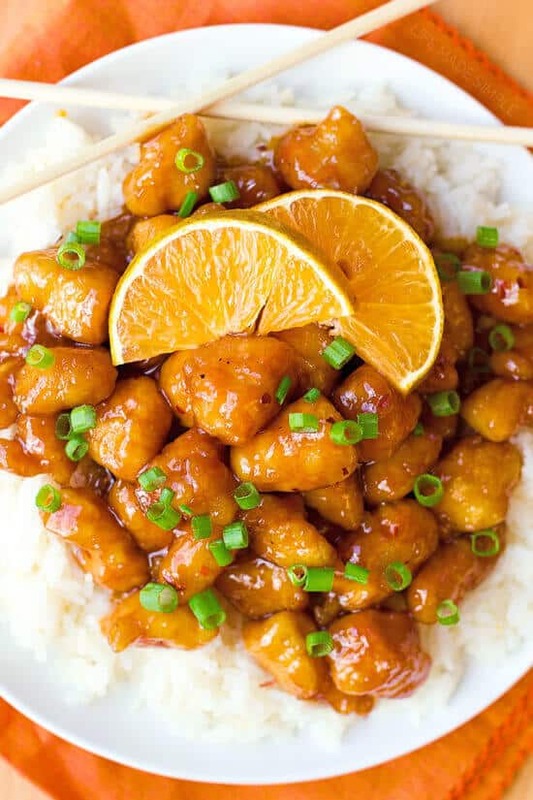 From Life Made Simple:: Click HERE for the RECIPE This Better Than Takeout Orange Chicken from Life Made Simple is way better than any takeout we’ve ever had! It’s got a great flavor, an amazing texture, and your whole family will go crazy for it! From Homemade Hooplah:: Click HERE for the RECIPE This Chicken Penne Casserole from Homemade Hooplah is a tasty meal made from scratch! Delicious and tender chicken is stir fried with bell peppers and onions and then baked in a bed of tomato sauce, penne pasta, and cheese! 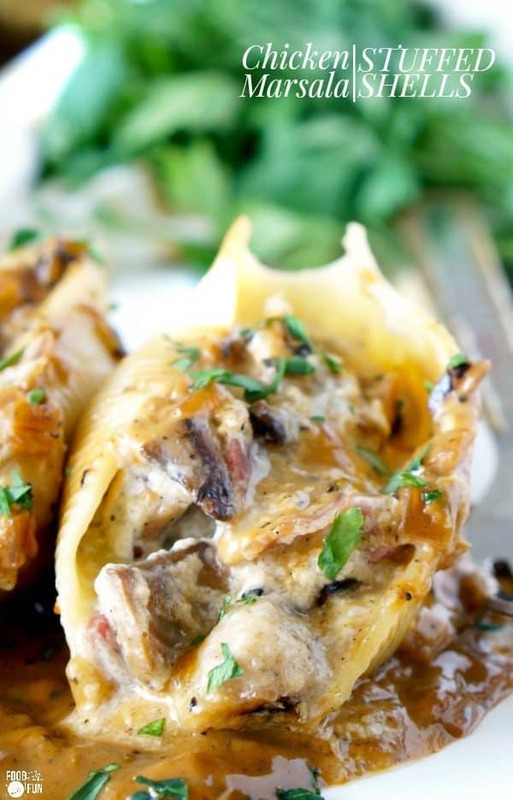 From Food Folks and Fun:: Click HERE for the RECIPE Chicken Marsala Stuffed Shells with Creamy Marsala Sauce is full of concentrated, layered flavors. It’s everything you love about the classic dish but in delectable stuffed shell-form! 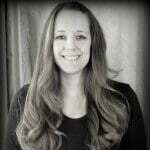 From The Recipe Critic:: Click HERE for the RECIPE Chicken Broccoli Garlic Alfredo Shells are stuffed with tender chicken, cheese, broccoli, and homemade alfredo sauce. 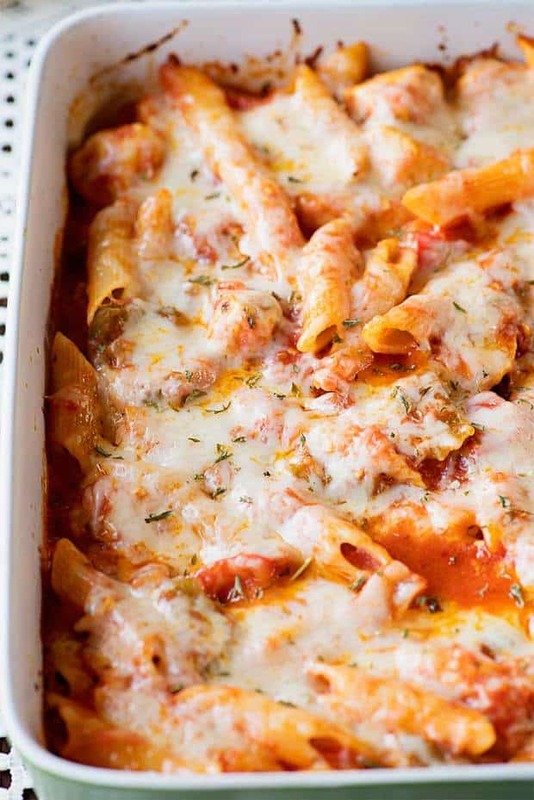 These shells are creamy, cheesy and out of this world delicious! 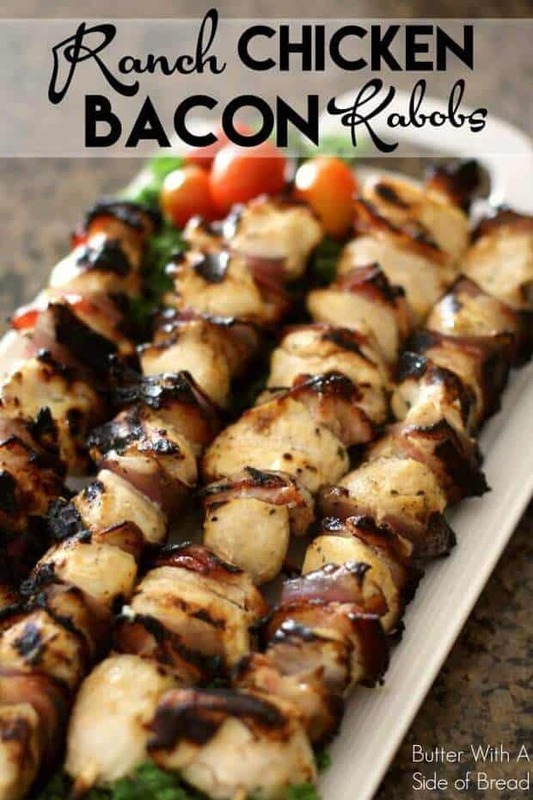 From Butter with a Side of Bread:: Click HERE for the RECIPE These Ranch Chicken Bacon Kabobs from Butter with a Side of Bread will make your tastebuds sing! They’re super easy to create with ingredients from your pantry plus they grill up fast. Try them at your next barbecue night! 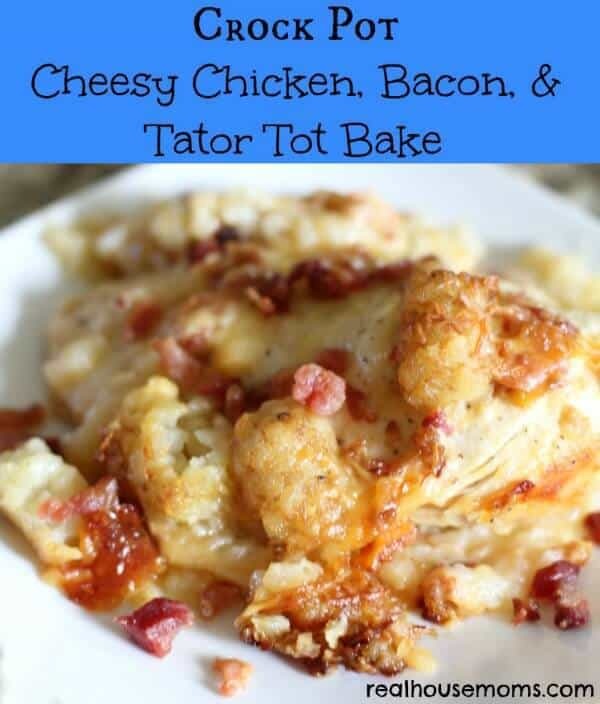 From Real Housemoms:: Click HERE for the RECIPE This Crock Pot Cheesy Chicken, Bacon, & Tater Tot Bake recipe from Real Housemoms is a delicious and super easy meal to put together that your whole family will really love! It’s cheesy, bacon-y, and the Crock Pot does all of the hard work for you. 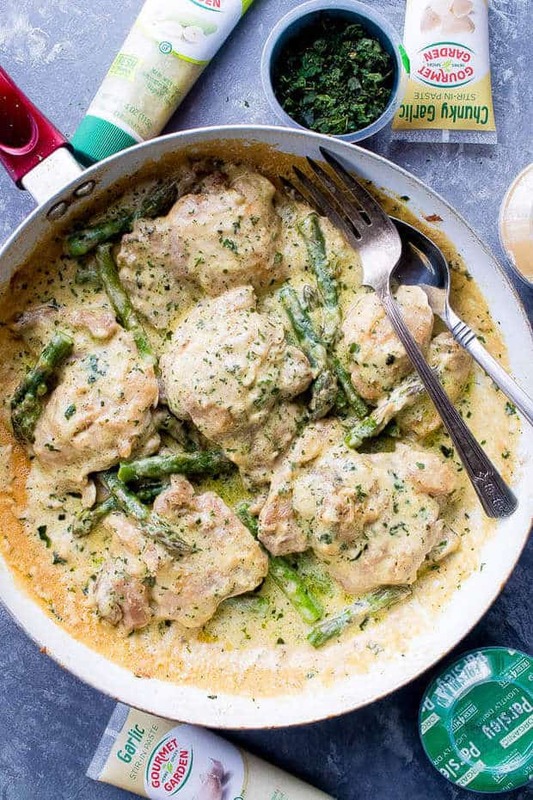 From Diethood :: Click HERE for the RECIPE Creamy Garlic Basil Chicken with Asparagus – This delicious and creamless Creamy Garlic Basil Chicken is prepared in a skillet with a flavorful garlicky basil sauce and asparagus spears. 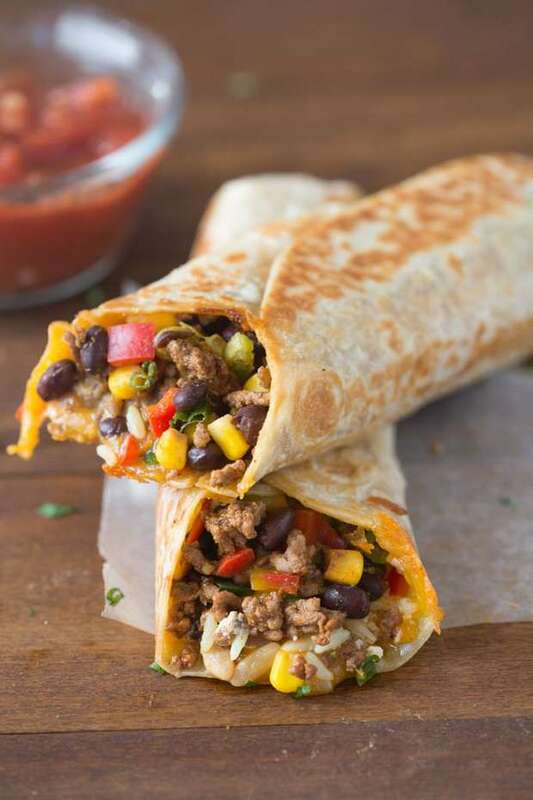 From Tastes Better From Scratch :: Click HERE for the RECIPE Crispy Southwest Wraps are one of our go-to, easy meals. They take less than 30-minutes and my family loves them! 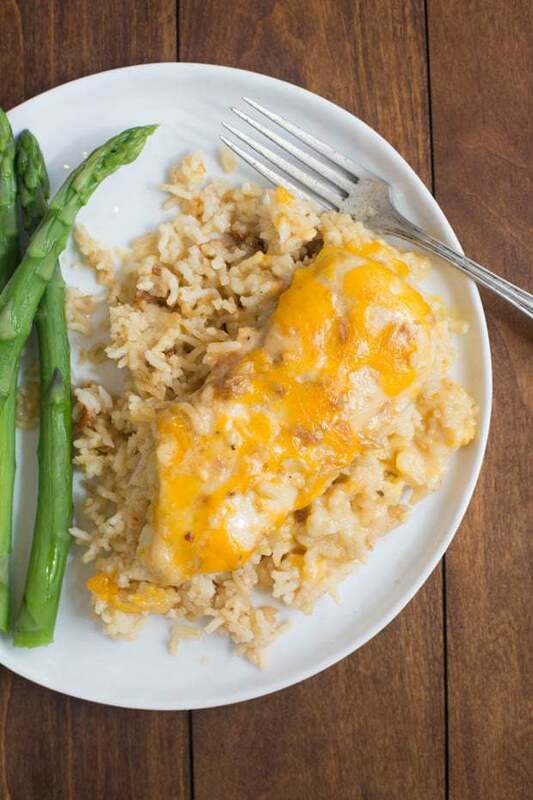 From Tastes Better From Scratch :: Click HERE for the RECIPE My family loves this easy One Pan Cheesy Chicken and Rice casserole. Just a few short minutes to throw together and let the oven do the rest.